“You’ll call this sentimental—perhaps—but then a dog somehow represents the private side of life, the play side,” Virginia Woolf confessed to a friend. In this charming and engaging book, Maureen Adams celebrates this private, playful side telling readers about the relationships between five remarkable women writers and their dogs. 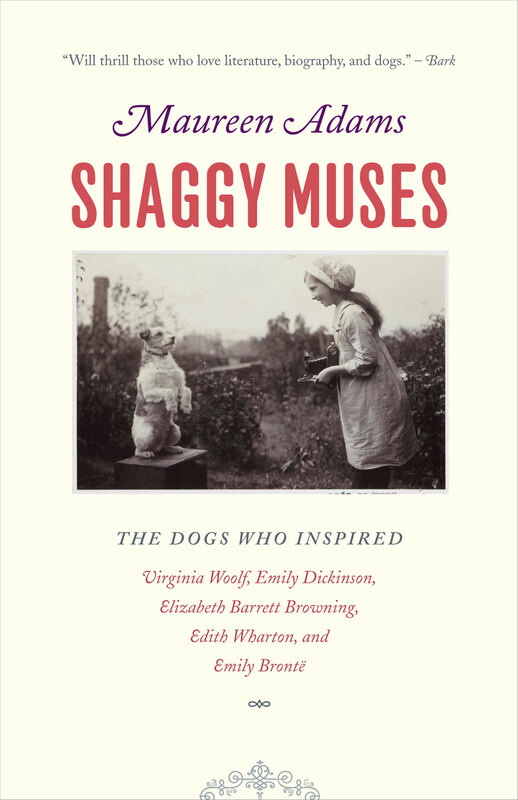 In Shaggy Muses, Adams explores the work and lives of these authors through the various roles played by their most devoted companions. Elizabeth Barrett Browning was rescued from a life of passivity and illness by Flush, a lively, possessive (and frequently dog-napped!) golden Cocker Spaniel. Emily Brontë’s fierce Mastiff mix, Keeper, provided a safe and loving outlet for the writer’s equally fierce spirit. Emily Dickinson found companionship with Carlo, the gentle, giant Newfoundland who soothed her emotional terrors. A troop of ever-faithful Pekingese warmed Edith Wharton’s lonely heart during her restless travels among Europe and America’s social and intellectual elite. And Virginia Woolf developed a deep attachment to Pinka, a black Cocker Spaniel who was both gift from her lover, Vita Sackville-West, and a link to her husband Leonard. Based on diaries, letters, and other contemporary accounts—and featuring many illustrations of the writers and their dogs—these five miniature biographies allow unparalleled intimacy with women of genius in their hours of domestic ease and inner vulnerability.